Home / Self improvement / Will I Lose Weight If I Stop Eating Meat? Evidence collected over the years has shown that vegetarians generally eat fewer calories per day, have a lower body weight and may have reduced risk of lifestyle diseases such as heart disease, diabetes and some cancers. However, is simply eliminating meat from your diet the key to successful weight loss or is there more to it than that? Does cutting out meat reduce your calories? Generally removing meat from your diet will reduce the amount of calories you consume, but this varies greatly depending on the amount and type of meat you were eating before and what you are adding to your diet to replace the meat. Meat can be high in fat, including the unhealthy saturated type and can contribute a large amount of calorie because of this. This is especially true for fatty cuts of meat and processed meats such as salami. Portion sizes of meat serves are also often far larger than recommended, especially in restaurants or fast food joints, once again contributing large amounts of calories. If you are a regular meat eater, eat large portions, or frequently have fatty meats then cutting meat from your diet is likely to substantially reduce the calories you are consuming and thus result in weight loss. However, it is important to remember that if you eliminate meat from your diet and replace it with another source of protein, weight loss will depend on the calorie content of the replacement. Many people do lose weight on a vegetarian diet due to the aforementioned drop in calorie intake when removing meat from their diet. However, a vegetarian diet is not generally adopted for weight loss and is considered to be more of a lifestyle choice adopted for various reasons such as overall health, issues with animal cruelty or a belief that vegetarian eating is a more sustainable option environmentally. Many foods that feature in a vegetarian diet however may not help with weight loss and if included in large quantities may even result in weight gain as it is possible they contain more calories than meat. If you are going down a lacto-vegetarian route, where animal products are still eaten and only the meat is eliminated, most desserts are vegetarian, including chocolate, ice cream, pastries and many other tasty treats that contribute to weight gain. Similarly, many varieties of snack foods are vegetarian, as is cheese, cream and high calorie snack bars. Even foods specifically marketed at vegetarians such as soy hot dogs can be very high in calories, so chances are if you are still eating these types of foods you may not get the weight loss you want even if you cut out meat. What are some good alternatives to meat and will they help with my weight loss? 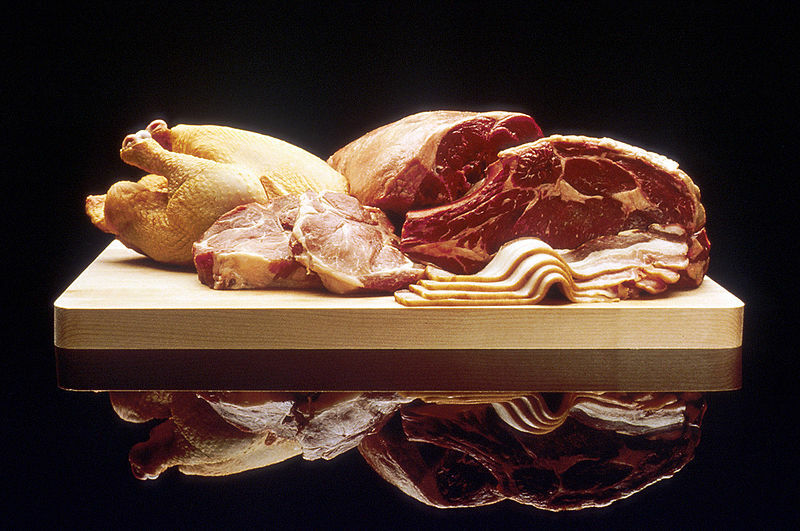 Meat provides valuable nutrients to our bodies including iron, protein and other vitamins and minerals. These nutrients may be found in plant based foods, but are often less available for absorption in the body than in meat. Here are some good alternatives to meat that are nutritious and can assist with weight loss. Soy based products such as tofu or tempeh are a great way to get low fat protein that is also low in calories into your diet. For the lowest calorie options, choose healthy cooking methods and avoid fried versions of these foods as they can still be very high in calories. Options such as chickpeas, lentils and dried beans are a great way to bulk up vegetarian meals, adding protein and fiber and keeping you full which can mean you eat less. These are extremely versatile ingredients, so do some research into how they are used in different cultures to keep your meals interesting and appetizing. This is an option for those who are eliminating meat but not following a vegetarian diet. Fish is generally lower in calories than meat but still provides valuable protein. These provide essential nutrients and protein, as well as healthy fats. Nuts and seeds can easily be sprinkled on a salad or cooked in bread to bump up protein content as well as add texture to the dish. Studies have suggested that including nuts in the diet in small quantities has no negative effects on weight loss, probably as the high protein content fills them up and prevents them from overeating unhealthy foods. Be aware though that whilst nuts are a healthy option and may assist with weight loss in small quantities, they are high in calories and should be limited to a small handful of unsalted, unroasted varieties daily. Eggs are a powerhouse of nutrition with a huge number of vitamins and minerals as well as protein. They are easy to cook, cheap and therefore make an ideal alternative to meat for lacto-vegetarians. As part of a low energy weight loss diet, low fat dairy products are thought to help with weight loss. They also provide protein and calcium for the body. It is important not replace meat with high fat dairy options such as cheese in large quantities as this may hinder weight loss, however, consuming a variety of low fat dairy products such as milk and yogurt throughout the day provides valuable protein and may help to keep you full.